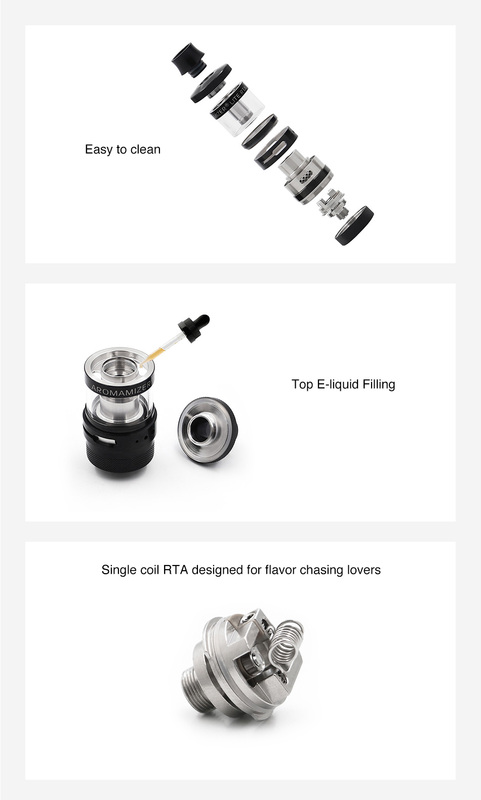 Designed for great DL & MTL vaping, the Steam Crave Aromamizer Lite RTA is a super flavor chasing single coil RTA with 23mm diameter and 3.5ml e-juice capacity. 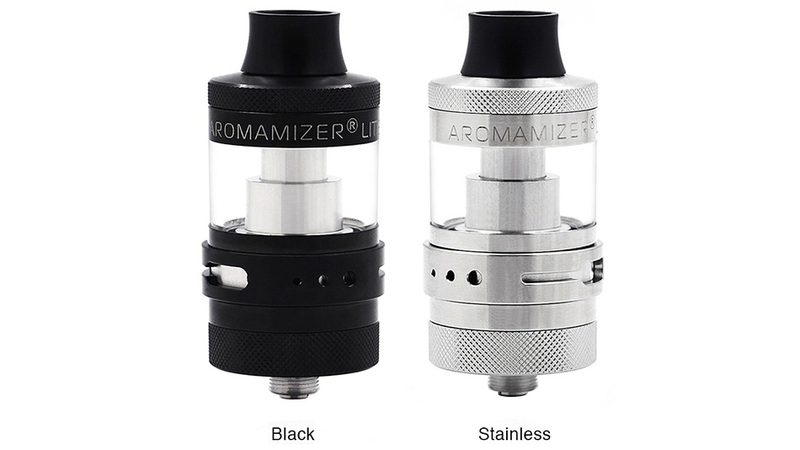 Just get one Aromamizer Lite RTA and enjoy a happy vaping. Steam Crave Aromamizer Lite RTA with 23mm diameter and 3.5ml e-juice capacity (a 4.5ml extra glass tube included). The Aromamizer Lite RTA is a great Single Coil RTA designed for flavor chasing lovers. With the easy single coil build deck and precise adjustable bottom airflow, the Aromamizer Lite RTA 23mm brings excellent DL & MTL vaping experience for vapers. Just get it and enjoy an amazing vaping. Best price and fast delivery in Heaven Gifts.